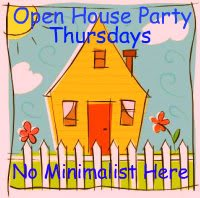 ﻿Welcome to the Open House Party! go there yet….I have some amazing features to share with you. painted the base white and drawers gray. I’ve seen bead board wallpaper used on walls and cabinets but never on the ceiling! Casey @ Living A Cottage Life created a beautiful ceiling with wallpaper and beams. is that work with the Weight Watchers program. into this beauty. Check out Little House In The Big D to see more. Nice features, Sherry! Thanks for hosting! 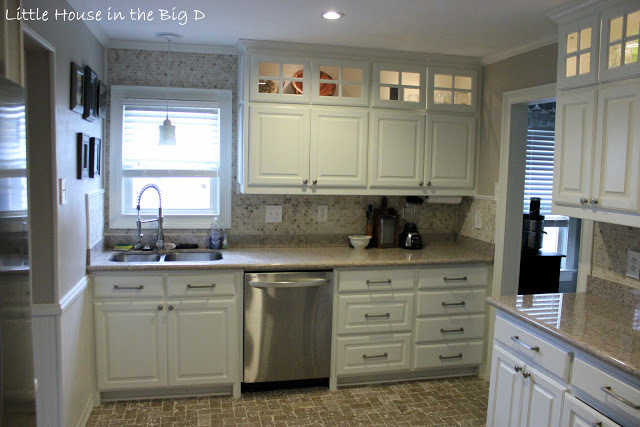 love that great kitchen remodel! Just linked up, thanks for hosting, Sherry! Thanks so much for hosting, Sherry! Hope you are having a beautiful day! Sherry, I am looking forward to your party. Thanks for bringing it to us each week! Thanks SO much for the feature Sherry!!! Hi Sherry, Great features as always. Thank you so much for hosting a fabulous party each week. Hi Sherry! thanks so very much for hosting your Open House party for us today. I love those great features that you selected. I'm not sure if this shows up on everyone's view but in the linky thumbnails at the bottom of this post (You Might Also Like) is the post you did about my copy of your French burlap-covered bottle…that was about two years ago! Thank you for hosting. Gotta go check out that kitchen. Thank you so much for the party, I love that ceiling! 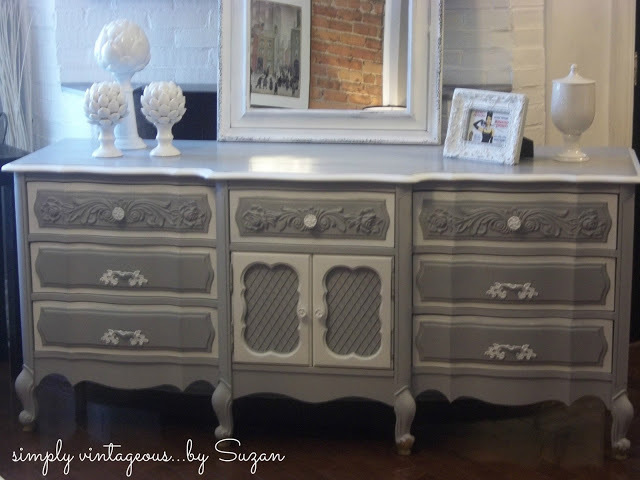 ohhhh, that dresser is amazing, what a beautiful creation! Thanks for the party and I hope you work out your wordpress questions! Sherry, Thanks so much for hosting another wonderful party! Love the features this week! Have a great weekend! Hi Sherry, I've really enjoyed participating in your party the past few weeks. Thanks for hosting, Sherry. Have a great week! Wonderful features Sherry. Thanks for posting! Good Afternoon Sherry, I have not contributed to your party this week, but I shall certainly do so next week. It is fun meeting new bloggers and to meet so many talented ladies. Thank you for hosting such a lovely party. I am so pleased to have found you and have become a new follower. You are welcome to visit Ivy, Phyllis and Me! when you have time. What a collage of beautiful colours and tastes! Thanks for hosting! Thanks for hosting Sherry. I love the features, and there are a lot of good links here at the party. Just got done reading a lot of new (to me) blogs! Amazing features and new projects!